We arrived in Moalboal exhausted from a long journey, and irritated by having been scammed at Manila Airport, barely making our flight to Cebu. From Cebu City to Moalboal is less than 90km, but it can take up to four hours, a chugging stop-start drive through the choking traffic of a string of cities sprawling all down the island’s east coast, then a rattling ride over the mountains on uneven, switchbacking roads. We paid PHP 2,500 for a hire car rather than take the much cheaper local bus, but we were glad about it with two tired, travel-sick children. Once we arrived at Moalboal though, we finally began to relax. It’s a small coastal town which is rapidly developing as a tourist destination, with diving and snorkeling as the main attraction. 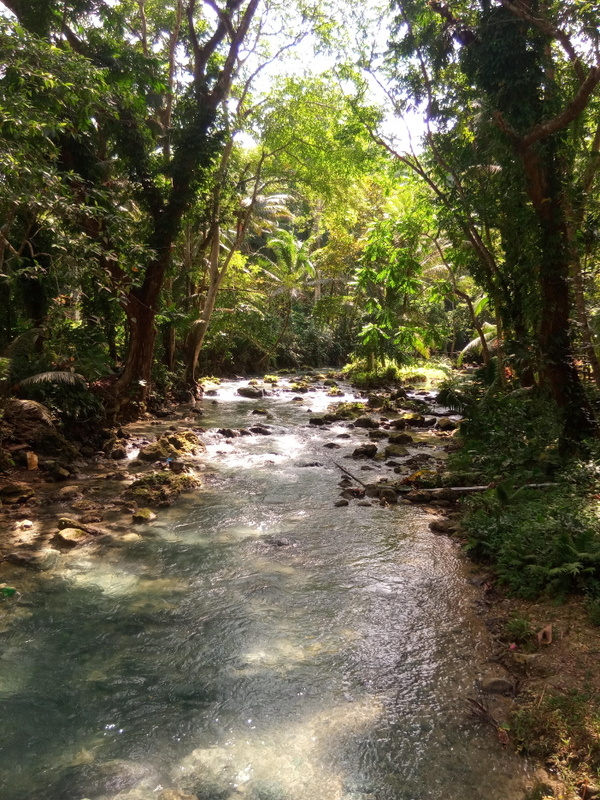 While much of it is still rough and ready, there are plenty of restaurants and bars, and we secured large, comfortable accommodation for four of us near the beach for the equivalent of USD 60 per night. Having come to scuba diving late in life, I was keen to get a couple of dives in, as was my older son, Noah (age 13). 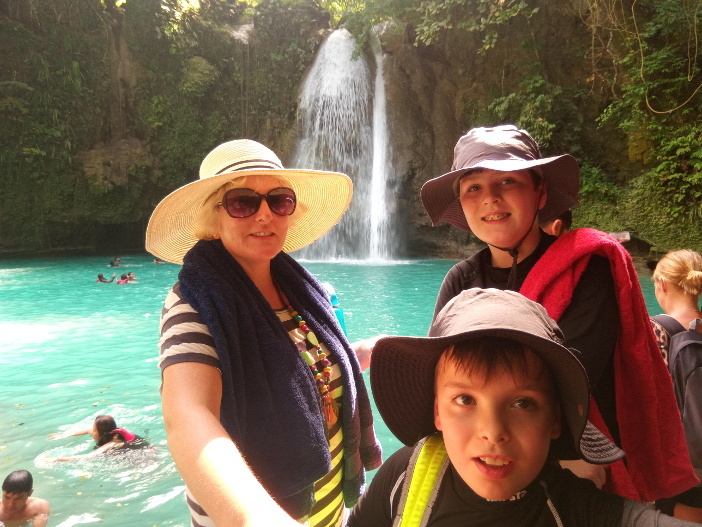 My wife has completed a PADI course but decided in the process she didn’t really enjoy diving, and our younger boy at 9 we felt was not yet ready, so they went snorkeling instead. With the plethora of dive shops available, it can be hard to pick one, so we arranged it through our accommodation. 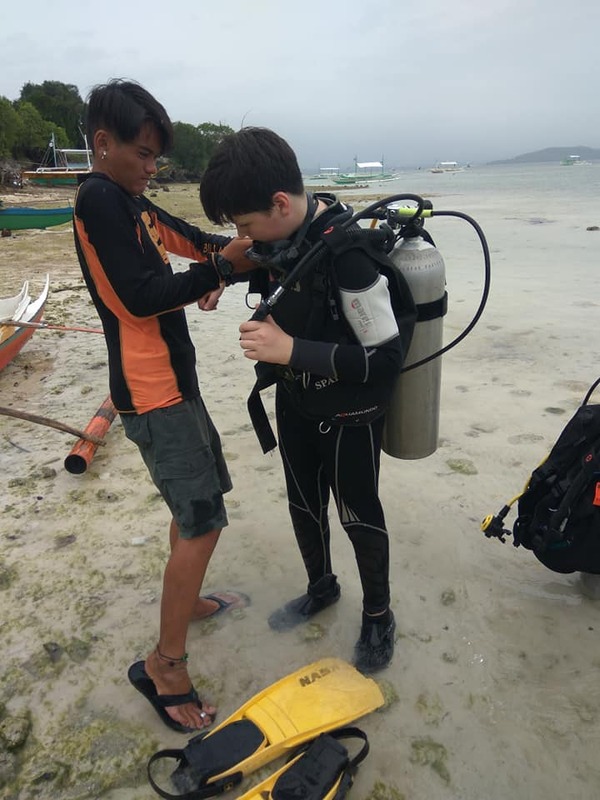 A word of warning though – we discovered after booking that our instructor was not PADI certified, so our dives do not count towards qualifying to dive independently. And the sealife of Moalboal is stunning. On our first dive we swam with a vast shoal of sardines, swirling around us and glittering in the sun. On the second we saw sea turtles, one unforgettably sitting on a coral shelf gazing out as though meditating, and totally unconcerned by us floating around next to it. The water is clear, the reefs clean and healthy, teeming with life. We have to hope that neither climate change nor the inevitable growth of Moalboal’s tourist industry change that. We were diving from the main beach at Panagsama, where most of the dive shops and bars are clustered. However it’s mostly rock with little sand. If you want a more traditional beach experience you have to travel 7km up the coast to White Beach. The usual transport around Moalboal is motorbikes with elaborate tuk-tuk style sidecars, and there were no shortage of offers to take us there and back, even on Christmas Day. We paid PHP 500 after haggling, but the beach was a little crowded for my tastes, and we only went once. We also visited Kawasan Falls. There are numerous offers of trips to this beauty spot, but unless you want to go canyoneering, the cheapest way is again to haggle with a sidecar driver. (I watched canyoneers plunging 20 meters into a pool, and if that’s your bag it’s probably great fun, but it’s certainly not suitable for kids.) On arriving at the falls someone jumped onto our sidecar and introduced himself as “our guide for the day”. He took a lot of convincing that he wasn’t going to be our guide and we didn’t need one. It took some time before we realized that we could venture further up the hill, where there were quieter pools, and lots of spots from which my intrepid kids could hurl themselves into the water. I made one such jump, and had forgotten to take off my locker key, which disappeared at the bottom of the pool. Fortunately a kindly local retrieved it for me. 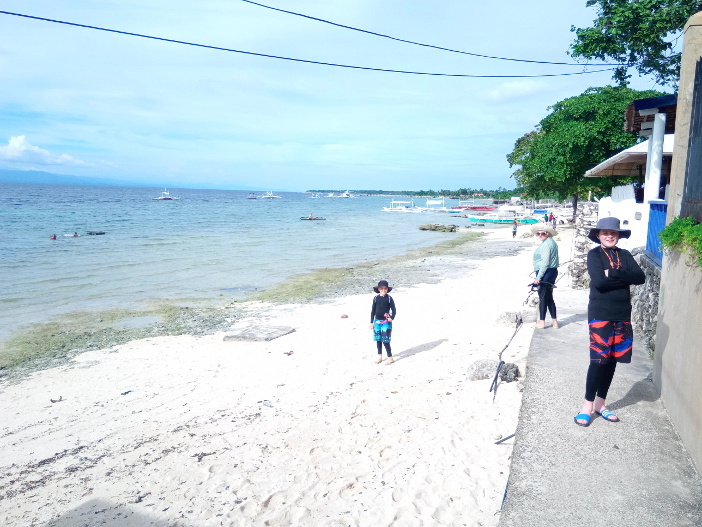 We spent a very enjoyable week at Moalboal, but one local tourist attraction we didn’t visit was the whale sharks at Oslob. In my next post, I’ll explain why.